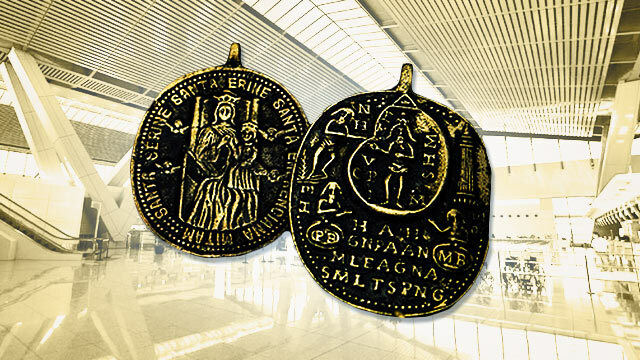 A woman who desperately wanted to get out of the country to find work abroad tried to trick immigration authorities at the Ninoy Aquino International Airport (NAIA) by arming herself with an amulet. The 25-year-old wannabe OFW was looking to head to Dubai, where she was promised a caregiver job, the Inquirer reported. However, she couldn't show the documents needed to enter the United Arab Emirates, and was only relying on an amulet that supposedly granted its bearer the power of invisibility. She was apprehended by airport authorities at the NAIA Terminal 3 while attempting to skip immigration around 2 p.m. on May 20. This was not the first time the woman was caught while trying to board a plane to Dubai. She was also barred from flying by immigration officers at NAIA Terminal 1 on May 17 and 19. In both incidents, the woman claimed that she was a tourist sponsored by a Dubai-based uncle but couldn't provide the papers to prove her claim. Upon questioning, the woman admitted that after her first two failed attempts she became desperate enough to buy the invisibility amulet for P750 from an Aeta tribesman. She also revealed that she had paid a recruiter P16,000 for her "processing fee" and was told to avoid the immigration process. She added that her family had to incur debt in able to raise the funds for her to work abroad. Her statements have prompted the NAIA Task Force Against Trafficking in Persons to investigate whether there was an airport insider involved with the victim’s recruiter.